Finally, a bug repellent free from stinky, sticky and DEET! 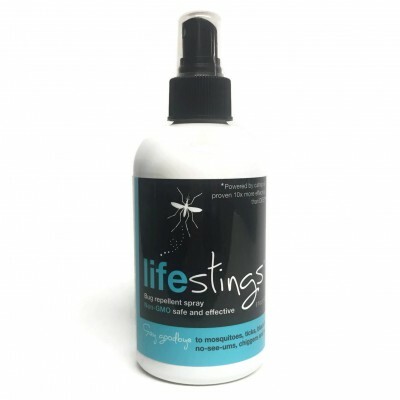 Lifestings® keeps you safe from bug bites without all the dangerous chemical toxins, while it heals your sun-dried skin. Use your lifestings spray independently or as a refresher for your lifestings lotion formula. In creating lifestings, we’ve tackled the worry, stink and stickiness of commercial products and won. By combining organic catnip oil* with other hardworking botanicals, we have created a mix so minty fresh you will hardly remember you are wearing a bug repellent. To top off a really wonderful experience, we have delivered our solution to summer bites in a refreshing mist to nourish and heal your sun-dried skin. NO PARABEN OR PROPYLENE GLYCOL. NON-GMO.